Celebrate the holidays with Jim Henson! Two beloved specials have been remastered and are www.mmdst.coming to the big screen, Emmet Otter's Jug-Band Christmas and The Bells of Fraggle Rock. Emmet Otter's Jug-Band Christmas Based on a book by Russell and Lillian Hoben, this beloved Christmas story, with music from Paul Williams and an all-puppet cast of woodland creatures, tells the story of Ma and Emmet Otter - a family that has little more than each other. When a talent show is held in town, a fifty-dollar prize gives them each hope of buying the other a real present this year. The Bells of Fraggle Rock deftly addressing the melancholy many people feel during the holidays as they struggle to find meaning in the special time of year The Bells of Fraggle Rock begins as Gobo Fraggle wonders why he doesn't have his normal excitement over The Festival of the Bells, the most wonderful day of the year for Fraggles. Though his friends try to cheer him up, Gobo ventures on an expedition to the center of Fraggle Rock - a journey that teaches him the importance of individual faith. Two heartwarming holiday specials that many of today's parents grew up with on television are making their cinematic debuts when Fathom Events and The Jim Henson www.mmdst.company present Emmet Otter's Jug-Band Christmas and The Bells of Fraggle Rock on December 10 and 16 only. "Jim Henson's Holiday Special" will play in nearly 600 movie theaters nationwide on Monday, December 10, at 4:00 p.m. and 7:00 p.m., and Sunday, December 16, at 1:00 p.m. and 4:00 p.m. (all local times). This first-ever "Jim Henson's Holiday Special" brings together these two holiday classics - each recently remastered - as well as an all-new featurette, "Memories of the Jug-Band," with a surprise celebrity guest, along with a special greeting from Cheryl Henson, daughter of Jim Henson and president of the Jim Henson Foundation. The touching musical holiday fable Emmet Otter's Jug-Band Christmas, directed by Jim Henson and featuring songs and music by Paul Williams, was hailed as an instant classic when it premiered on HBO in 1977. "Emmet Otter's Jug-Band Christmas" tells a simple but timeless tale of devotion between a mother and her son: Ma Otter (performed by Frank Oz, voiced by Marilyn Sokol) and Emmet Otter (performed by Jerry Nelson) have no money, but they want to do something special for each other at Christmas. They both decide to enter the local talent show to win the first prize of $50 -- money that could change the holidays for them. "Emmet Otter's Jug-Band Christmas" also features performances by Richard Hunt,Dave Goelz, Jim Henson and Eren Ozker. 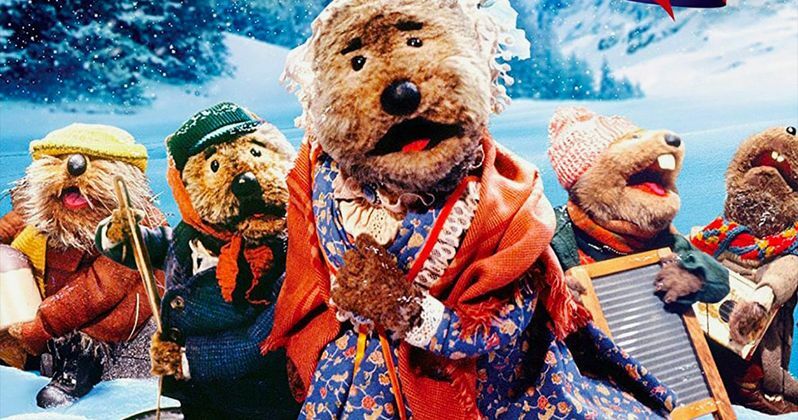 Emmet Otter's Jug-Band Christmas was a favorite project for my dad since it included such sweet characters, Paul Williams' delightful music, and a timeless holiday message. Also, the special was a great opportunity for him to experiment with puppetry techniques and effects that would be seen in his later works," said Cheryl Henson. "The citizens of Frogtown Hollow are sure to look their best in this remastered version. And it is exciting for families to share this holiday classic along with the special episode 'The Bells of FraggleRock,' a rare opportunity to see the Fraggles on the big screen, and to introduce these beloved characters to a whole new audience." The Bells of Fraggle Rock was first seen on December 24, 1984, when it premiered as a holiday-themed episode of the critically acclaimed, award-winning series "Fraggle Rock." Deftly addressing the melancholy many people feel during the holidays as they struggle to find meaning in this special time of year, "The Bells of Fraggle Rock" begins as Gobo Fraggle (Jerry Nelson) wonders why he doesn't have his normal excitement over The Festival of the Bells, the most wonderful day of the year for Fraggles. Though his friends (Dave Goelz, Karen Prell, Kathryn Mullen, Steve Whitmire) try to cheer him up, Gobo ventures on an expedition to the center of Fraggle Rock - a journey that teaches him the importance of individual faith. "These two unique and well-loved classics from Jim Henson offer an exciting new way for families to spend the holidays together, enjoying classic entertainment that will be nostalgic for parents and delightfully new for kids," said Tom Lucas, Fathom Events VP of Studio Relations. In addition to the in-cinema presentation of "Jim Henson's Holiday Special," Sony Pictures Home Entertainment will debut Emmet Otter's Jug-Band Christmas on Blu-ray™ December 18, which will include the all new "A Jug-Band Revival" featurette and more. Fans can also enjoy more Fraggle fun with "Fraggle Rock: The www.mmdst.complete Series," available now, for the first time ever, on Blu-ray™. Tickets for "Jim Henson's Holiday Special" are available at FathomEvents.www.mmdst.com or at participating theater box offices.